The mixing environment of Brian Langsbard, featuring Genelec 8260A Smart Active Monitors™ (SAM™). NATICK, MA, July 14, 2015 — Brian Langsbard has been deeply involved with baseball for 15 years, since the EMMY® Award-nominated composer scored his first opening theme for an MLB broadcast. Langsbard has provided the musical voice for a wide range of visual content, from the bone-chilling underscore for the murderous women of Snapped on the Oxygen network to the backdrop to an animated Batman series to serious documentaries. But baseball has been a continuous theme for him. And for the last four years, the huge heroic themes that companies like MLB Productions have come to Langsbard for have been written, produced and mixed through his 8260A Smart Active Monitors™ (SAM™) from Genelec, the leader in active monitoring technology for over 35 years. Most recently, Langsbard finished up a four-part series titled Rushmore – narrated by Martin Sheen and profiling the lives and careers of Babe Ruth, Lou Gehrig, Ted Williams and Hank Aaron – in the studio in his Laurel Canyon home. Those documentaries, which are slated to air in 2016, sound as good as they do thanks in part to the incredible aural nuance that Genelec offers sharp-eared musicians like Langsbard. The 8260A Smart Active Monitor (SAM) is a masterpiece in electro-acoustic design. It features Genelec's proprietary Minimum Diffraction Coaxial™ (MDC™) driver. The 8260A combines outstanding three-way monitor design with Genelec state of the art AutoCal™ and Genelec Loudspeaker Manager™ (GLM™) control network technologies. GLM allows to automatically align every monitor on the network in terms of level, timing, and equalization of room response anomalies. Together with the 8260A breakthrough MDC driver design, Genelec MDE™ and advanced DCW™ technologies provide accurate imaging and outstanding clarity and definition of the inner details of the music. The 8260A is the most sophisticated monitoring solution for recording studios, post-production houses, digital mastering facilities, radio and TV broadcasting. 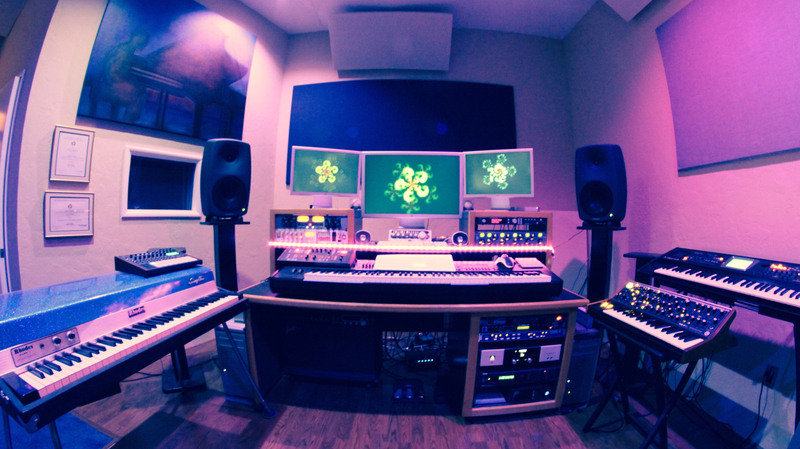 Photo Caption: The mixing environment of Brian Langsbard, featuring Genelec 8260A Smart Active Monitors™ (SAM™).